It’s that time of year again! We want to say thank you for another amazing year here at Nature’s Lawn & Garden! 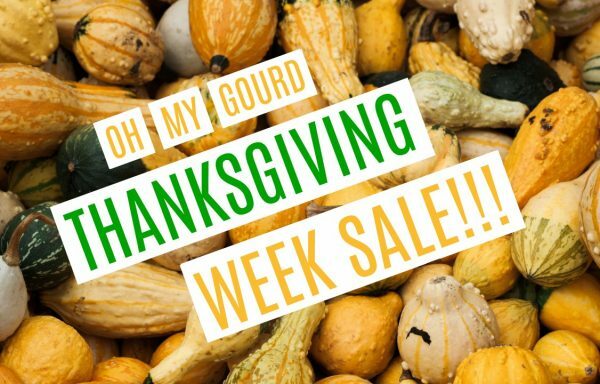 To show our appreciation for your patronage, this week only we have a special 15% off coupon code that’s good ALL WEEK, today through Cyber Monday/November 26th. Use coupon code THANKS18 at checkout to save 15% off your entire order! Reminder: Our Organic Gardening Products are still on Sale! Three of our high-quality, specialized gardening products have been marked down and are now available for up to 30% off. These are great for all your outdoor and indoor plants, including flowers, foliage, and vegetables.